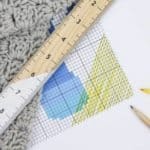 In this corner to corner crochet video tutorial, we’ll learn the basic corner to corner stitch including how to increase in c2c and how to decrease in c2c. 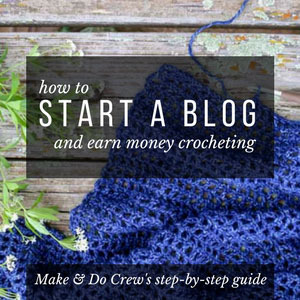 This introduction is perfect for corner to corner newbies! 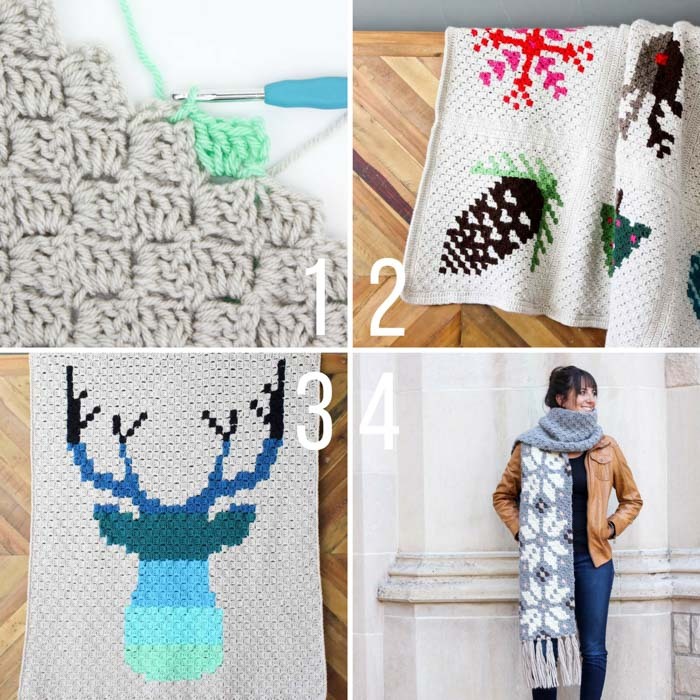 To me, C2C is a little like paint by number, only with yarn. You can illustrate almost anything with a simple hook and string and that is something I find pretty incredible! 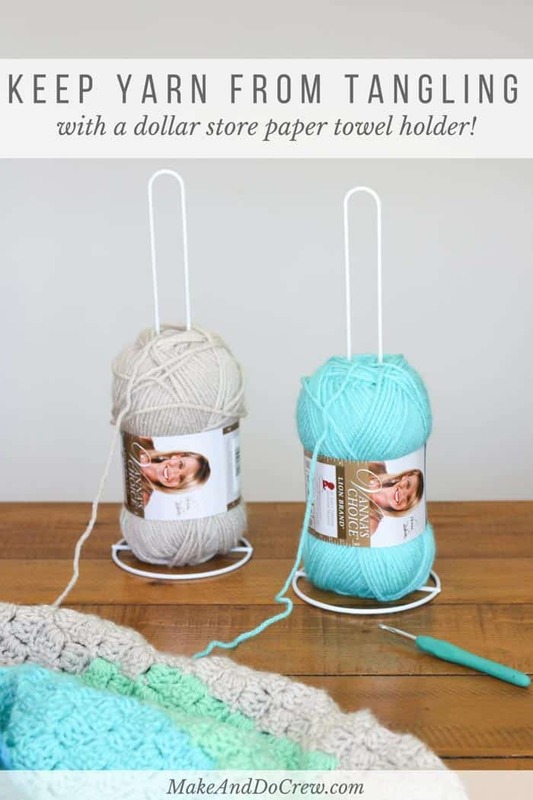 Thanks to your requests, last spring I put together a full “How to Corner to Corner Crochet” photo tutorial post, which is definitely worth checking out and referring back to as you practice. Thanks to Lion Brand Yarn for providing the Vanna’s Choice yarn I used in this corner to corner crochet video tutorial. 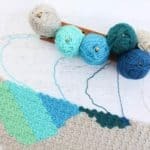 The extensive color options in Vanna’s Choice make it one of my go-to yarns for c2c graphgans! 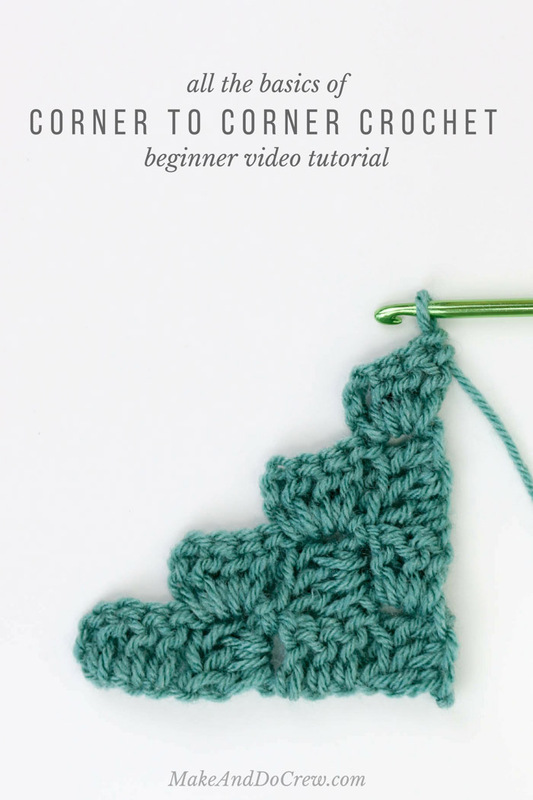 I hope you find this first corner to corner crochet video tutorial helpful. Please leave a comment if there’s something you’d like me to cover in a future C2C video! 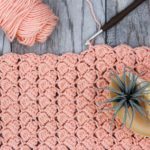 Now that you’ve learned the basics of corner to corner crochet, you might enjoy checking out these other c2c tutorials and free patterns from Make & Do Crew. 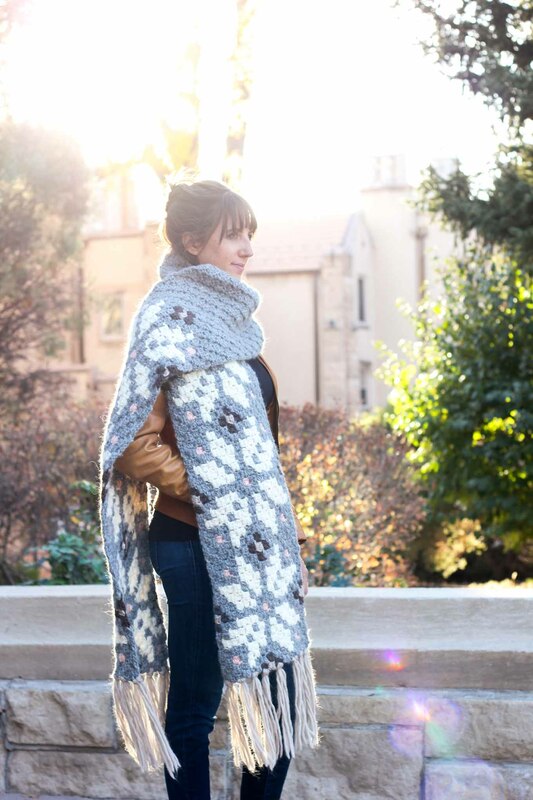 « Newsprint Crochet Granny Stitch Shawl + Giveaway! Thank you very much for this tutorial. It finally clicked for me. I love your method of instruction. You don’t rush us and leave us hanging. I am having trouble with the corner row. Iam assuming that means the beginning of decreasing. 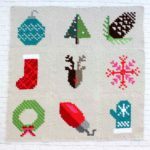 So, if i assume that, my question is do I slip stitch at the end of this row or put in another tile? is this seater made up of rectangles, or double squares on top of each other? If i add another tile at the end of each row, I am thinking it will become a rectangle….am i understanding this? 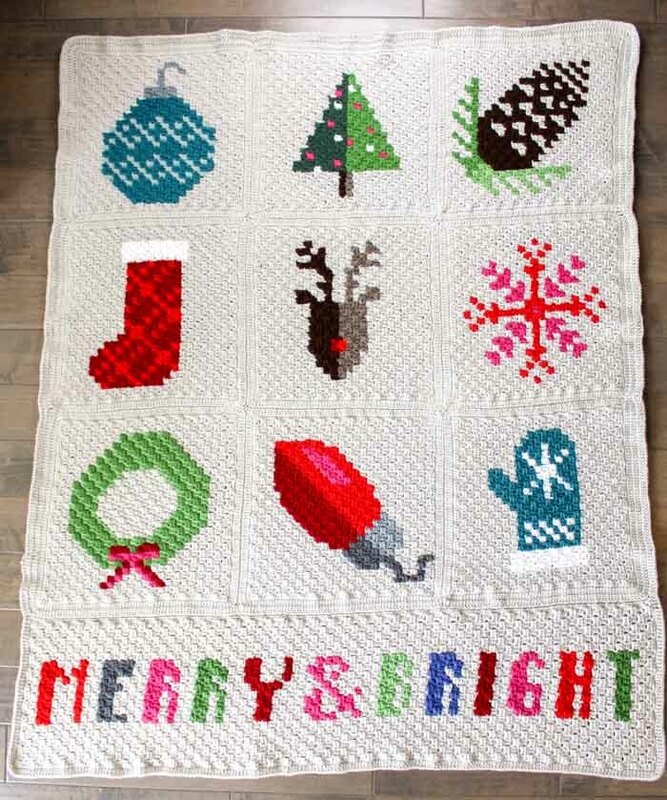 This is my first C2C….can you tell? !